Recently I've been reading ALOT of people's blogs and going through people's older posts aswell! I was watching some of Jen's (frmheadtotoe) videos and her bridal make-up one inspired me to do bridal piece. If you don't know about Jen's blog then you absolutely must go check it out! To match the theme that Jen was discussing I aimed to make a modern, elegant and simple yet timeless piece! 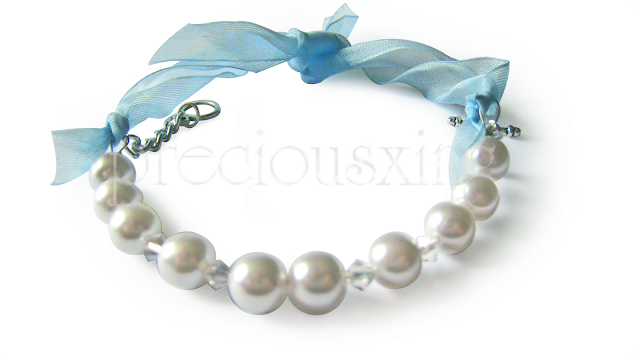 The ribbon adds a nice touch to this piece as it make it unique and also makes the bracelet more versatile. The piece is quite classy and I think that the blue ribbon makes it slightly more relaxed feeling without taking away from the elegance of the piece. Also, it's our something blue! 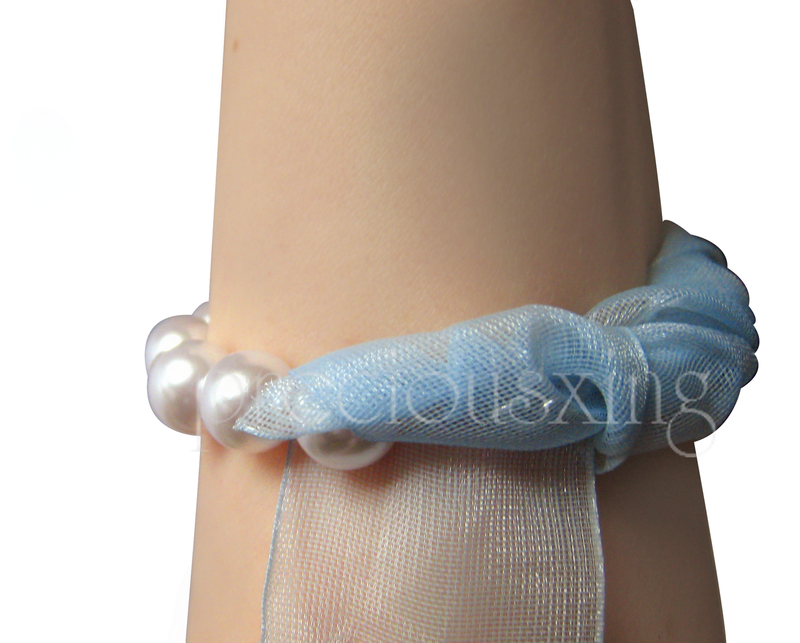 The bracelet itself counted for the something new on my list so our whole checklist is complete! 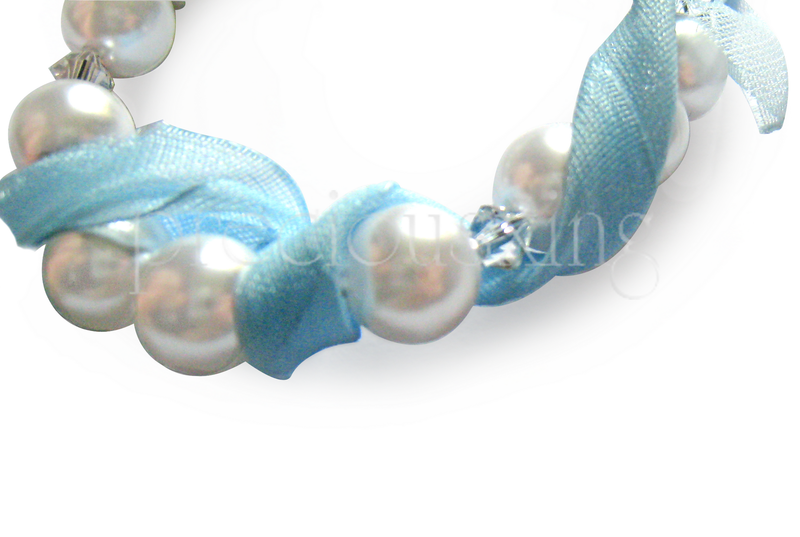 This is my favourite way I think, I just wrapped the blue ribbon around the pearls. This idea was done kinda hastily so the picture doesn't do much justice, sorry! What I did here was wrapped the ribbon around the toggle clasp so it was hidden. If I had pulled it tighter it would have looked much nicer as it would be a row of pearls and crystals leading to a slim ribbon twist at the back. You're worth the following! Really love the blog! So pretty! I wish I was creative like you!